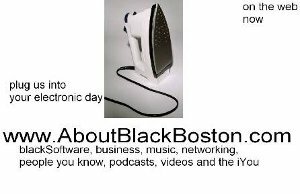 ﻿ About AboutBlackBoston Online. Live person standing by. Thanks for coming! Sixty-one percent of readers arrive from a Boston neighborhood or business location. Cambridge and Somerville online users are here as are many from suburban towns Randolph, Worcester, New Bedford, Lowell, Medford, Brookline, Quincy and others. Advertising is offered. This audience is Black, White, Haitian, Caribbean, African, Brazilian, Portuguese, Asian, Hispanic, Latino, and other nationality. We will write ' The Online Guides to Black Boston ' or ' AboutBlackBoston Online ' to describe the product. Platforms are online web sites and social media channels at AboutBlackBoston.com Mobile, Facebook.com/abbinfo, BlackBoston.com founded 1638, Smallwall.net affordable housing finders, Boston.BlackSoftware.com Black Boston Commons, Movef.com welcome mat, Roxbury.TV streaming video clips and movies, and @BlackBoston Tweets and @MoveF Concierge channels. We provide Live Person Response to all site users.